You have a hard drive full of documents and pictures, back-ups of your information on discs and jump sticks. You have paper files, photo albums and boxes of family history all of which you have been accumulating for years. But do you have a plan? ....... a plan to share your treasures, your knowledge, your family’s story......or is your plan to just keep accumulating this information only to be filed away....For what? Genealogist love research, they love the mystery, the seeking out of facts. However, at some point, genealogists must confront what they plan to do with their acquired knowledge. 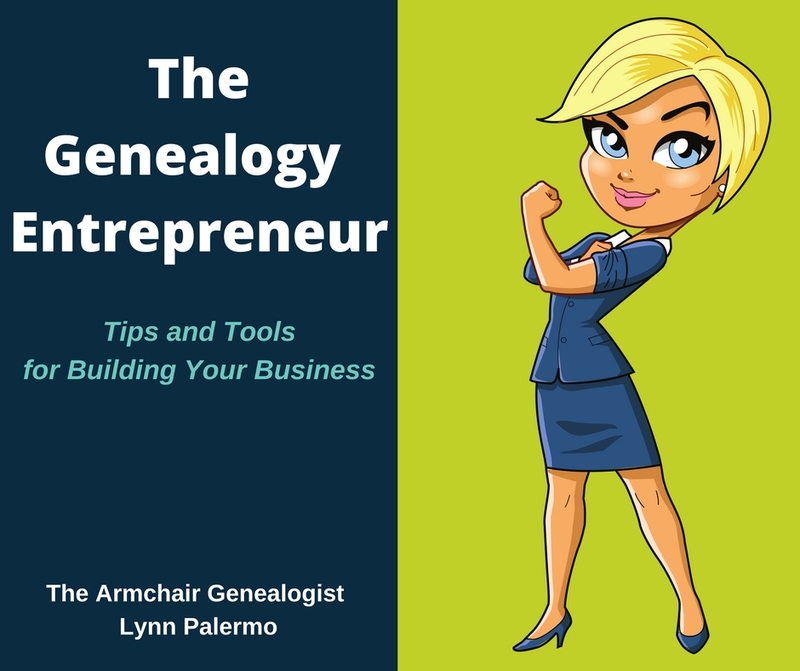 I believe most genealogists more than anyone else have learned the power of life stories, yet so few of us get around to organizing our information into a readable format to share with generations to come. You have dearly missed the point of genealogy if your journey is only about the hunt. At some point, I believe most of us realize a lesson or two from our ancestors. 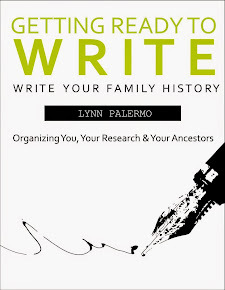 This is where you need to take the leap from being the family historian to the family writer and convey your knowledge and lessons and write a book. Yes, a book! I know many look at the idea of a book to climbing Mount Kilimanjaro, an insurmountable task reserved only for the very few. Everyday books are being written and published; it is no longer an elitist adventure. Often the task is met with many objections. I don’t know how to write. It is too expensive to produce a book. I don’t have time. I can tell you from personal experience that nothing will be more rewarding then taking your years of research and knowledge and assembling it into a format that will benefit your current family and generations to come. Not to be morbid but should God forbid, you passed away tomorrow.....What would happen to your years of research? Will it sit on a computer that will eventually crash and become obsolete. Will your computer be passed down only to be wiped clean? Your boxes of documents and pictures, they will likely be given to a family member. Perhaps you have even willed them to someone. However, more than likely they will remain in the boxes on shelf in a basement for years to come. If you didn’t take the time to write your family’s story then what makes you think someone else will. Maybe someone will open them up years from now and discover your hard work, or perhaps not. Very few of us have even taken the time to draw up a proper will of our most valuable assets, for many of us our family history research is not even been on the radar. 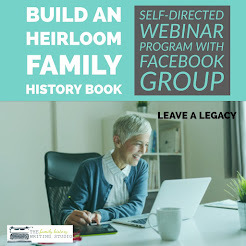 Writing a family history book, taking all that research, knowledge, pictures and documents and putting it into a readable format for a wider audience to see and learn from and enjoy is your single best solution to leaving a legacy to your family. 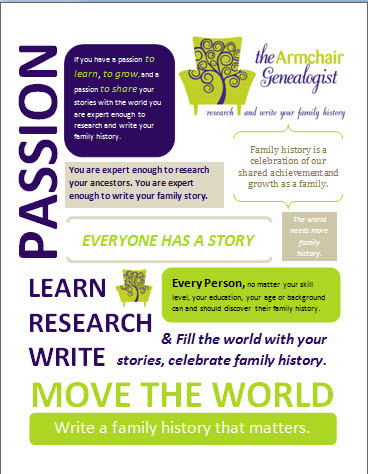 One of the first things we learn as a genealogist is how important it is to record your family history. Oh how excited we would have been if our earliest ancestors had kept journals, recorded their travels to the new world, left us writings of their hardships, successes and failures. How much richer we would have been for having had the knowledge of this information. Yet, fully knowing the importance of this, many family historians, have become nothing more than collectors of information, facts and documents. 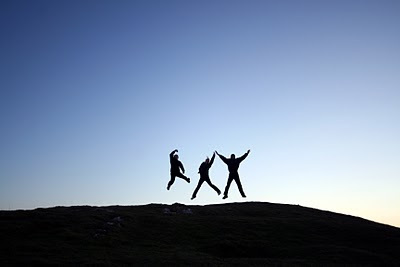 I say this with the greatest respect, “what have we learned,” if we have failed to share our knowledge. 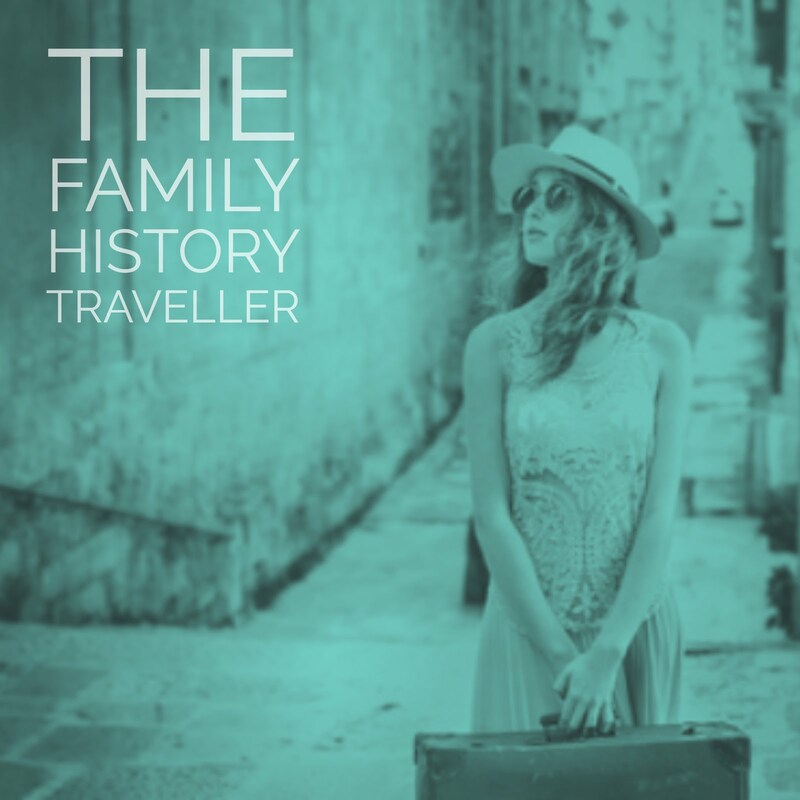 Next week I will be releasing our family history book, a 200-page book, accounting for 400 years of our family’s travels, spanning four countries and countless generations. Although I am nervous about its reception, (we pre-sold 75 copies) I also know, outside of my own marriage and children it is probably one of the single most important accomplishments in my life. Through my research and my words, I am bringing together my ancestors and my current family for the first time. My hope is that it will strengthen the foundation of this family even more than it already is, it will help us appreciate the sacrifices our ancestors have made, celebrate our history and move forward knowing that we can accomplish great things. Why should that lesson only be my lesson? Why shouldn’t my family down to its youngest member have the opportunity to learn from our ancestor’s story? 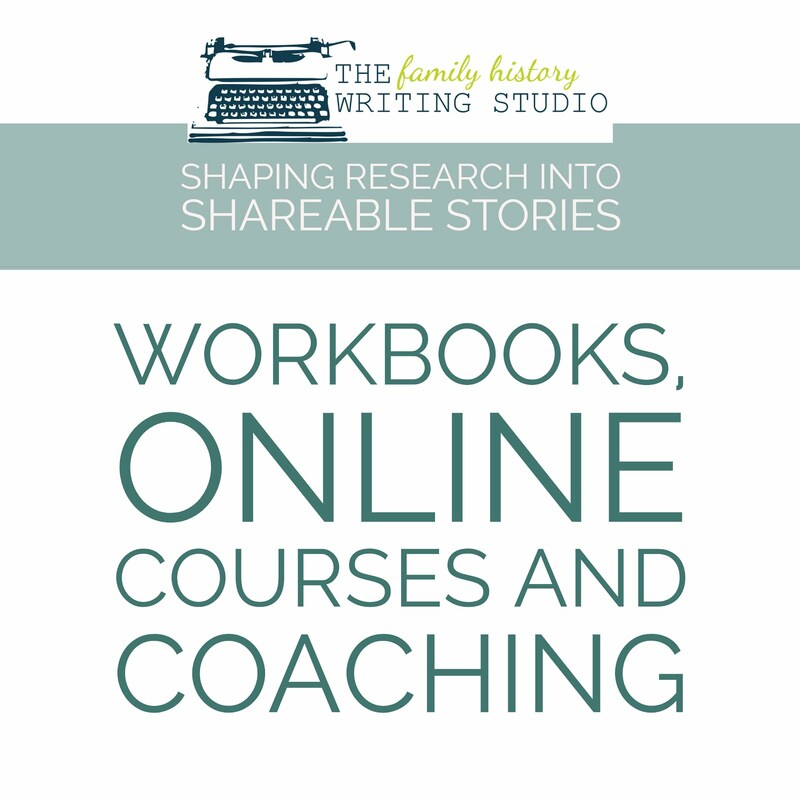 If you haven’t made the leap from family historian to family writer, I encourage stepping off and taking a risk and try your hand at writing your family history; it can be just as rewarding as the research.